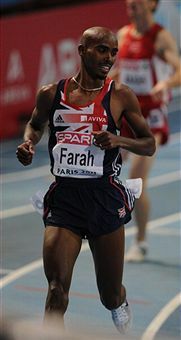 March 5 - Britain's Mohammed Mo Farah today retained his 3,000 metres title at the European Indoor Championships in Paris. The 27-year-old Londoner held off a determined bid from Hayle Ibrahimov of Azerbaijan to claim gold in 7min 53.00sec, with team-mate Andy Baddeley - normally a 1,500m specialist - a highly creditable fourth, just 0.3secs behind bronze medallist Halil Akkas of Turkey. But he knows tougher tests are on the horizon as he looks to win medals on the global stage in this year's World Championships in Daegu and 2012 London Olympics. "There are bigger challenges ahead," said Farah, the first of them being his first half-marathon in New York at the end of the month. "As an athlete you always want better things. "I would like to have as many medals as I can in my career. "Hopefully my new coach Alberto Salazar can take me to the next level, if I stay injury-free and keep focused. "I want to do well in Daegu and hopefully Alberto can give me that second or half second because that is what it is all about - getting a medal in the World Championships." Richard Buck was also setting his sights even higher after claiming Britain's third medal of the Championships so far with a bronze in the 400m. France's Leslie Djhone enjoyed a commanding victory in a national record 45.54sec but Buck snatched bronze on the line in 46.62 behind Germany's Thomas Schneider after team-mate Richard Strachan faded badly in the closing stretch to finish fifth. 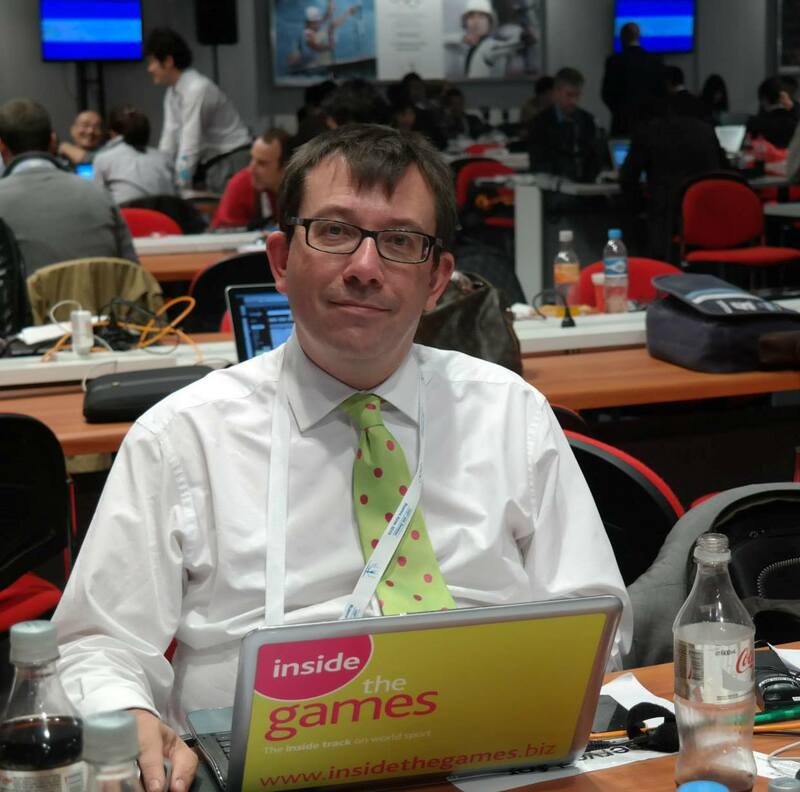 "It's great to have won a medal but I'm also a bit disappointed because I was there for the win," Buck said. "Leslie and Richard went off so quickly and I had a split second to decide to ease off a little to give myself a clear run. "We've been experimenting with tactics all season and it's time we got them right, but bronze also means I was not well-enough prepared and in two years' time I will be back and determined to make it a gold." 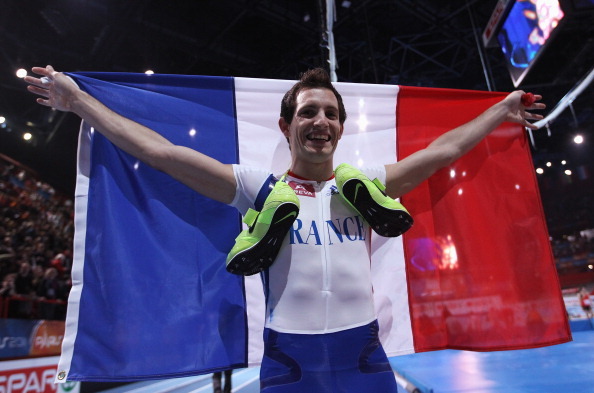 Elsewhere, France's Renaud Lavillenie (pictured) delighted the home crowd with a commanding victory. Lavillenie also had three attempts at a new world record of 6.16m, but had to settle for victory ahead of team-mate Jerome Clavier, who cleared 5.76m, and Germany's Malte Mohr, with 5.71m. "I'm very happy, more than satisfied," Lavillenie said. "Winning in Bercy, keeping my title, jumping more than six metres, all of this on the same day. It's just amazing. "With the gold medal in my pocket I started to focus on the performance. "The first time I jumped six metres was two years ago. "Last year I tried a lot but missed. "This time I succeeded at my first attempt, which gave me an amazing feeling, especially with [world record holder] Sergey Bubka in the stadium." There was also a silver for the home nation in the long jump courtesy of Kafetien Gomis, with Germany's Sebastian Bayer taking gold with a leap of 8.16m. But world triple jump record holder Teddy Tamgho failed in his bid to win the long jump and triple jump after finishing down in fourth in the first event. And there were three golds for Russia from Anna Avdeyeva in the shot, Ivan Ukhov in the high jump and Yelena Arzhakova in the 1,500m, with Denisa Rosolova of the Czech Republic surprisingly finishing ahead of Russian duo Olesya Krasnomovets and Kseniya Zadorina in the 400m.